If we are to be a blessing to our city, it will take commitment, hard work, and a lot of faith! 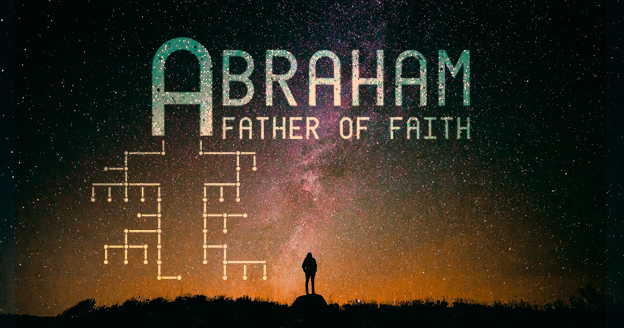 In this series we look at the life of Abraham in Genesis 12-22, and draw lessons of faith from his story. Finally Abraham is given a son, and then God asks him to do the unthinkable – offer him up as a sacrifice. In this talk Tim looks at the sacrifice of Isaac in Genesis 22 and considers how we can trust God as our Provider. God’s promises to Abraham are not just for his generation, but for many generations to come. In a world where church attendance seems to be in decline, how can we have faith for the future? Eager to see the promises of God fulfilled, Abraham and Sarah take a shortcut, with disastrous consequences! In this talk Andy looks at the story of Hagar and Ishmael and considers how we can live patiently, with faith in God’s timing. We love London and are working for its cultural, social and spiritual renewal. But in this talk Andy Tilsley looks at our specific vision for the Central service and the ways we hope to serve this part of the city. God didn’t promise simply to bless Abraham, but to bless the entire world through him and his offspring. In this talk, David unpacks our vision to be a blessing to London: contributing to the social, cultural and renewal of the city. At the age of 75 Abraham was called to leave his country, his people and his household and follow God into the unknown. Andy Tilsley opens this new series by looking at how we can live with faith to follow God, even when the destination and means are unknown.